Tiny wrens, in shoreline sedges. You nest here with me. Maybe this isn’t strictly a “STEM” book, but it can be. From grackles to eagles, plovers to killdeer, Yolen and Stemple describe different places that birds nest in spot-on rhyme. 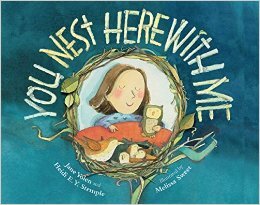 They end each stanza: “You nest here with me”. Combine that with Sweet’s gorgeous illustrations and you’ve got a book that you’ll want to read every night. Looking for beyond-the-book activities? Head over to Sally’s Bookshelf. Flowers are calling a little black bear. No, not a bear! He doesn’t care. They’re calling a butterfly to dip from the air. Flowers call a bumblebee, a hummingbird. Each creature, it turns out, answers to a different flower. For the bee it’s Monkshood. For the butterfly, Queen Anne’s Lace. The hummingbird uses his long tongue to sip nectar from brilliant red tubular flowers. 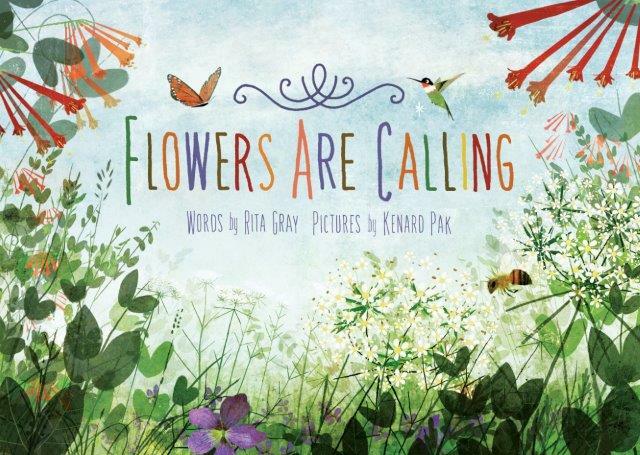 Author Rita Gray introduces us to three nectar-sipping, pollen-collecting critters at a time. Then she introduces us to the flowers they pollinate. There’s a lot of diversity amongst these animals: insect, mammal, bird… daytime feeders, night feeders. And the illustrations are very nice. What I really like is that after introducing us to a dozen flower/animal pairs, she challenges us to look at flowers more closely. Look at their shape, color, and pattern. Observe how they smell, and when they open. Flowers have different strategies to make sure they connect with their special pollinators. Some plants give off heat to tempt an insect into staying there on a chilly night. Other flowers have ultraviolet designs that are visible only to certain pollinators. The designs help guide the pollinators to nectar. Oh, and did I mention the illustrations? For more, check out hands-on book-related activities over at Archimedes Notebook. 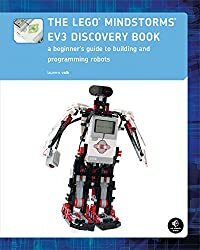 Booktalk: Begin with the basics as you build and program a simple robot to experiment with motors, sensors, and EV3 programming. Then you’ll move on to a series of increasingly sophisticated robots that will show you how to work with advanced programming techniques like data wires, variables, and custom-made programming blocks. You’ll also learn essential building techniques like how to use beams, gears, and connector blocks effectively in your own designs. 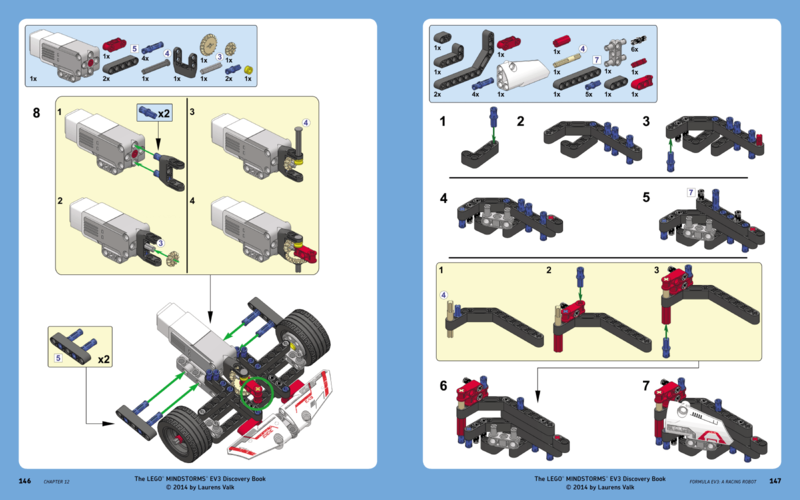 More than 150 building and programming challenges throughout encourage you to think creatively and apply what you’ve learned to invent your own robots. Quick, do you know who America’s first female astronomer was? 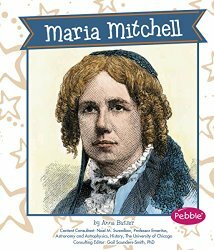 If not, Maria Mitchell, a beginning reader biography by Anna Butzer, will help you find out. It is just the right title to pull out for Women’s History Month. Read it to learn all the pertinent details about pioneering female scientist Maria Mitchell, who was trained as an astronomer by her father. The author reveals that while Maria Mitchell was working as a librarian, she spent her nights searching the skies with a telescope. Eventually she discovered a comet that no one else had seen and it was named in her honor. See the rest of the review at Wrapped in Foil blog. Categories: Science, STEM Friday round-up | Tags: biography, Maria Mitchell, Women's History Month | Permalink. World Water Day is March 22! 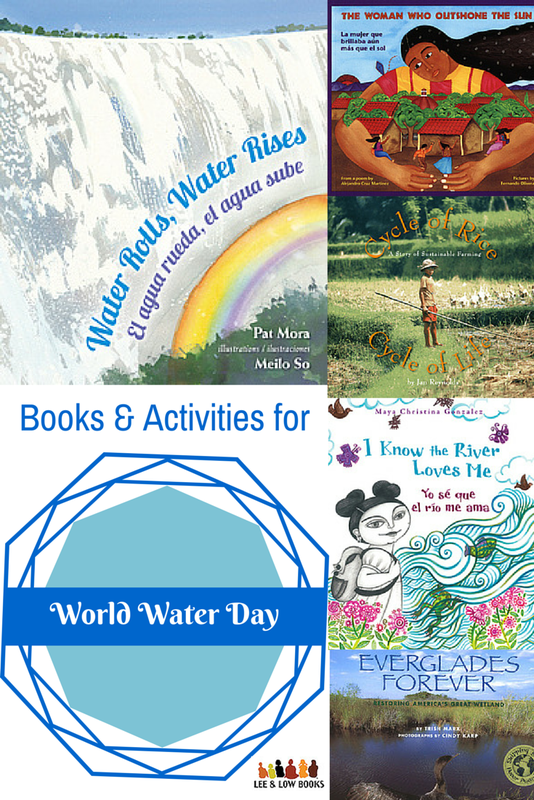 In a series of poetic verses in English and Spanish, readers learn about the movement and moods of water around the world and the ways in which water affects varied landscapes and cultures. Ask students what they know about water. What do you know about the water cycle (local vs. global scale)? Describe water using each of your five senses. How do people use water? How is water important to life on Earth? Describe how water connects humans across cultures and continents based on Water Rolls, Water Rises. Study how people in the book interact with the water around them. What states of water are most useful to people? Why? What are the benefits of living near water? What does this book teach us about humans’ place in the natural world? What does this book teach us about the water cycle? 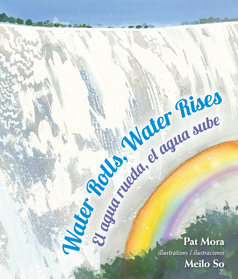 The author, Pat Mora, has spent most of her life in the Southwest desert region of the United States. How do you think living in that environment influenced her to write a book about water? Pair Water Rolls, Water Rises with another title to learn about various ways humans use and rely on water. What suggestions do these books offer to take care of water environments? Have students research the water cycle. How does water travel from one part of the world to another? Now take a look again at Water Rolls, Water Rises. Which verses and illustrations demonstrate precipitation? Evaporation? Collection? etc. With students, try some of the in-class science experiments about water that the American Museum of Natural History created for its “Water: H2O=Life” exhibit. Provide students with a world map. (An outline of a Robinson projection world map can be downloaded here for reproduction.) Ask students to mark on the map the location of each place featured in the book. In addition, have students identify and label the seven continents, five major oceans, and the largest lake and river on each continent. Students should also mark their location on the map. Discuss what a compass rose is and the purpose it serves on a map. Students may also build their own maps at National Geographic Education’s MapMaker 1-Page Maps. Have students with their families make a list of all the things that they do in a day that require water. If you suddenly didn’t have water at your home, where could you go to get water? Estimate how much water you use in a day and reflect on what you would do if you had to live without running water. Imagine an alien from a planet without water is visiting your classroom. Have students describe, in a letter to the alien guest, what water is and the features of water. How do humans use water? Where do humans get water? What makes water special? What would happen to people, plants, animals, and weather if Earth didn’t have water? Copyright © 2015 Jill Eisenberg. All Rights Reserved. Categories: STEM Friday round-up | Tags: books for STEM, conservation, cultural diversity, geography, Nonfiction, nonfiction books, Science, STEM, STEM books, STEM books for kids, STEM Friday, water | Permalink. 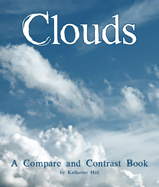 This book is filled with photos of clouds – perfect for browsing, and comparing different kinds of clouds. The language is simple enough that young readers can peruse it themselves. At the back are two hands-on experiments about precipitation, a cloud-matching game, and a handy guide to predicting the weather from the clouds. 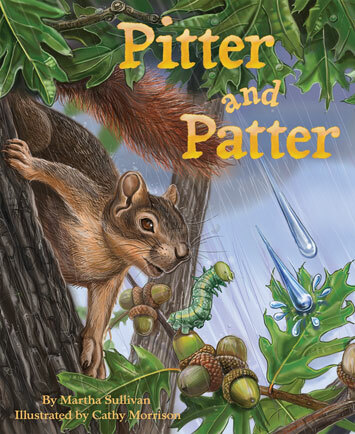 “Pitter and Patter dropped from a cool, gray cloud one day.” Pitter lands on an oak leaf, drips into the stream below, and is on a water cycle adventure that carries him through a valley, wetland, and finally into the ocean. Along the way he meets fox and deer, dragonfly and trout. Patter lands in a meadow and percolates into the soil. His journey is different from Pitters, but eventually they both meet when they are evaporated back into the sky. There’s plenty of back matter explaining states of matter, water cycle, and water sheds, plus hands-on activities. Head over to Sally’s Bookshelf for some beyond-the-book activities. 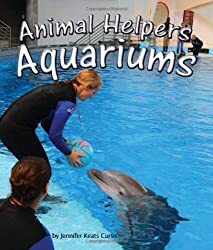 Booktalk: Follow this behind-the-scenes photographic journal as it leads you into the wondrous world of aquariums and the animal helpers who work there. Snippet: You won’t need a snorkel and mask in here! In an aquarium, you can trek through millions of gallons of fresh and salt water, but you won’t get wet.